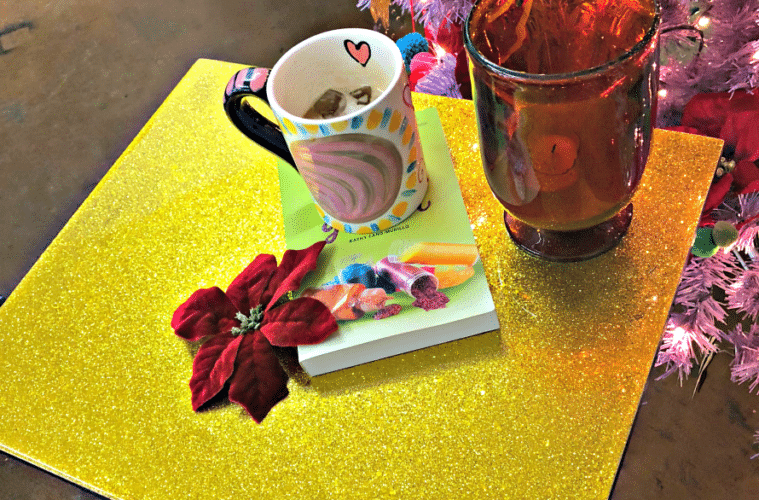 These resin glittered TV trays are the MOST! 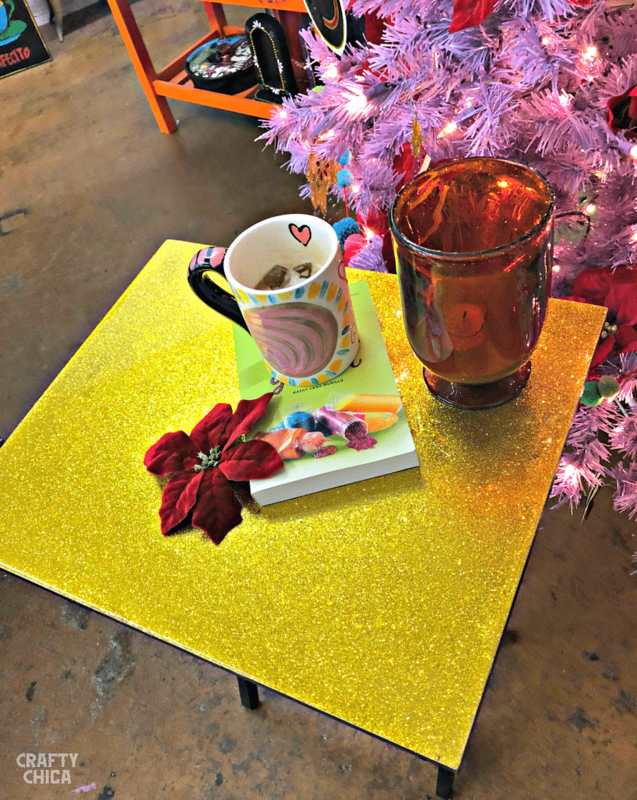 I wanted something bright and sparkly for the season and took some regular black TV folding tables and gave them a brilliant makeover! I am living my best life, don’t judge. I don’t care if it is December or July. life is more dramatic with glittered furniture. 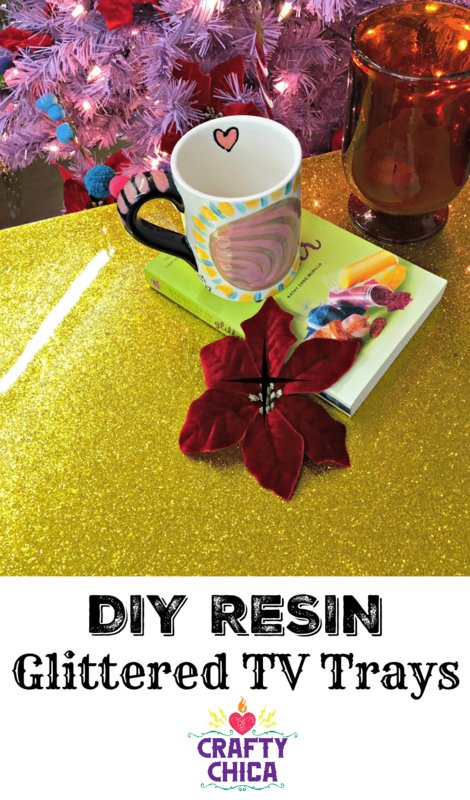 The key is to achieve a dense, uniform look to the glitter and there are a few tricks for that (you’ll need two-part resin). I posted the full tutorial over on the Big Lots Latino blog! I thought I would share it here too, because this is my home base, you guys are my crafty comadres. I always worry when I share projects on other sites if those readers will think my ideas are too much and over the top! 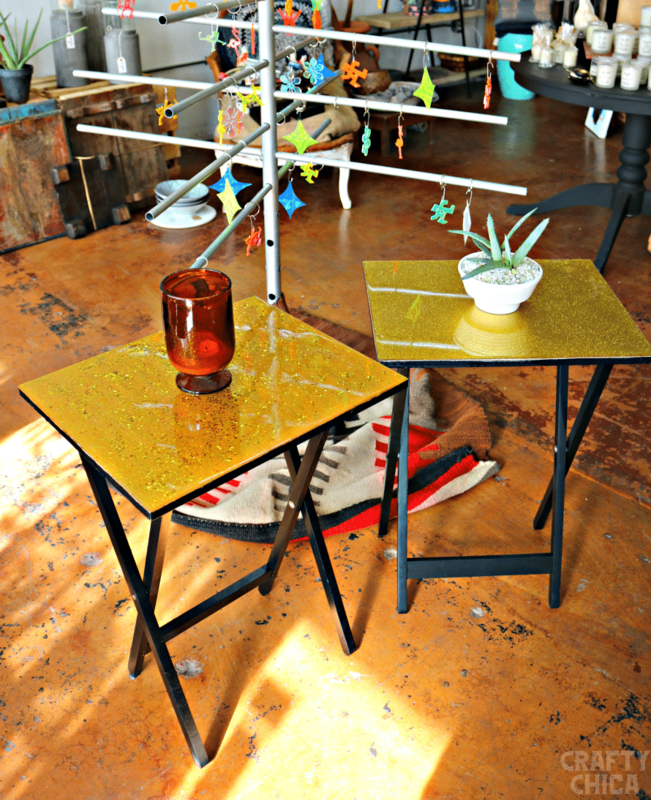 I mean, who doesn’t want to eat off of a gold glittered table, right? I know I do! What do you think? Click here to see my tutorial post on the Big Lots Latino blog, I have the full directions, plus a lot more pictures! By the way, if you like the mug, I have it for sale in my Etsy store! It says “I’m on the concha diet” on one side and has a hand-painted concha on the other! Thanks for reading! Happy glittering! The trays need to be jazzed up more with your usual clever artistic iseas. What do you think of the news that glitter should be banned because it’s not good for the environment? Is there glitter that is environmenally safe?